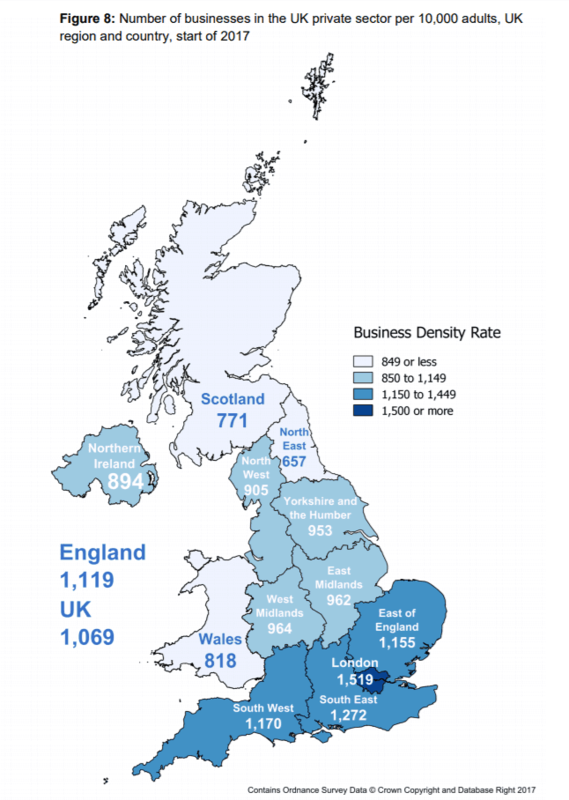 The map above shows regional business density in the UK. This is calculated as the number of businesses in the UK private sector per 10,000 adults at the start of 2017. At that time, there was a record of 5.7 million private sector businesses in the UK. Small businesses accounted for 99.3% of all private sector businesses at the start of 2017. However, they only accounted for 48% of private sector employment and 37% of turnover. London is the clear leader when it comes not only to total businesses but also the number of businesses per capita. At the other end of the spectrum you have the North East, Scotland and Wales.